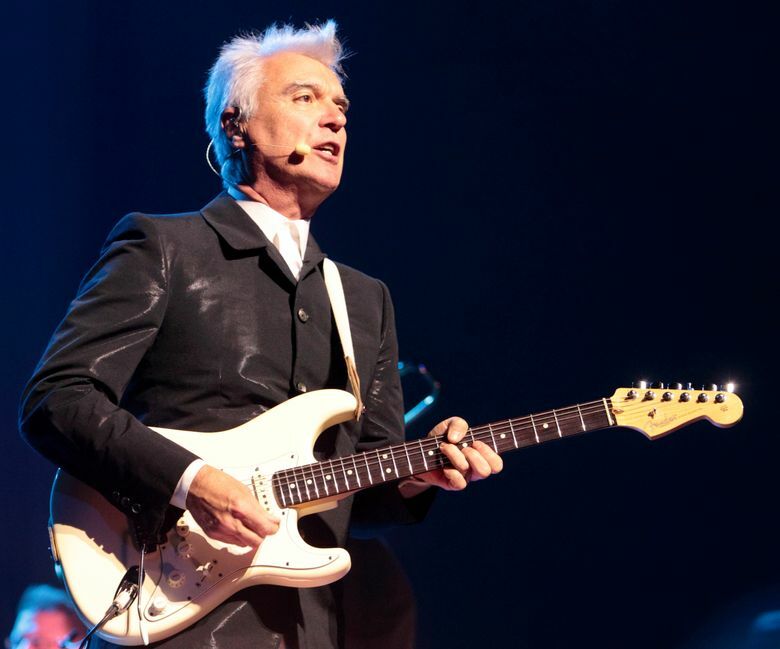 Talking Heads’ David Byrne is to give the keynote address Thursday, April 20. It was the comedian Martin Mull who most likely first uttered the quip that “writing about music is like dancing about architecture” (though you’ll see this improperly credited to everyone from Thelonious Monk to Frank Zappa). And yet for 15 years the annual Pop Conference, happening next weekend at MoPOP and the Hyatt House, has proved that famous quote wrong again and again. The Pop Conference is a strange amalgamation of part academic conference, part rock critic confab, where both American Studies professors and rock critics present fine writing about music. Thursday-Sunday, April 20-23, at MoPOP, 325 Fifth Ave. N., Seattle; $20-$25 (mopop.org). On Friday afternoon (April 21) there are panel discussions on “Black Politics in the Reagan Era,” “The All-Star Charity Single, Reconsidered” and “Soul and the Voice of (Obama’s) America.” And those are just three of the dozens of topics to be tackled at this year’s conference. The conference starts Thursday, April 20, with a keynote at 4 p.m. in Sky Church by the Talking Heads’ David Byrne. A full schedule of events is online at MoPOP’s site, and tickets are $20, which allows you attend all four days (and get into MoPOP for free). However, seating for David Byrne, as with all events, is first-come, first-served. This is the 15th year of the conference, and organizers say it is more vital than ever, even as the music industry itself has changed. The Pop Conference began in 2002 when Powers and central organizer Eric Weisbard worked as curators at the then-EMP. Though the conference has also been held in a few other cities over the years, it has mostly been a Seattle event. Only a few hundred people regularly attend, but most discussions are insightful to anyone who appreciates how culture shapes music, and how music shapes culture. One safe bet is veteran music critic Robert Christgau (who has switched to politics this year, so he’s more perfect than ever for the conference). Christgau’s writing shaped what rock criticism became initially, but when he’s talking, rather than writing, he’s got a rapid-fire delivery that is close to performance art. Saturday night’s panel should be a perfect counterpoint to Martin Mull’s famous joke because it combines a discussion and music. Titled “Voicing Change,” it will include Seattle’s Perfume Genius, with a performance by Canadian aboriginal throat singer Tanya Tagaq. Like a lot of the Pop Conference, it’s not easy to categorize, but it’s also something not to be missed.